Finishing a marathon at any age is an accomplishment, but doing so at the age of 92 is something else. American Harriette Thompson recently became the oldest person to run a marathon when she crossed the finish line aged 92 and 65 days. 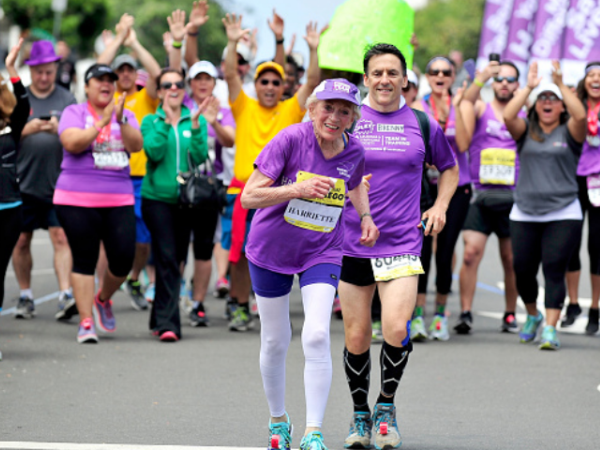 The nonagenarian ran the 42 km Rock 'n' Roll Marathon in San Diego in seven hours, 24 minutes and 36 seconds and crossed the finish line with her son Benny (56) by her side. “And her lipstick and makeup still look perfect,” the announcer said of the former concert pianist. Harriette only started running at age 76, after a fellow churchgoer asked if she would sponsor her participation in a race. Now the two-time cancer survivor runs marathons herself to help to raise money for the Leukaemia & Lymphoma Society.